4th Skye Guards Team (MegaMek) Formed ! Skye Command is pleased to announce the formation of our latest SR 'mech gaming team, the 4th Skye Guards for the MegaMek game platform. Kreedo first brought this game platform to my attention and has already been firing up our new 4th Skye Guard Forums. As such, Kreedo will take the lead of the new unit and there are already two recruits in the queue in the 22nd Skye Rangers who joined the Skye Rangers just to play MegaMek. For all the hard work, Kreedo is hereby granted a field promotion by Skye Command from Hauptmann (HPT) to Kommandant (KM). Skye Command would like to take this opportunity to welcome some new 'old-school' tabletop BT gamers to the Skye Rangers! As always, my door is open if anyone has any questions. Xenon54z Go away for Thanksgiving and come back to this wonderful news! The Skye March command offices are closed today for the ancient Terran custom of Thanksgiving. We wish all our Members a Happy Thanksgiving! 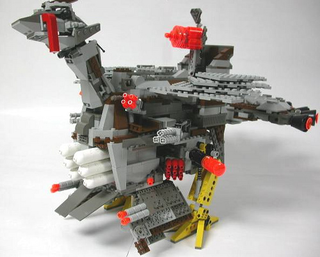 iHover Battle turkey love it! 007mither007 x Happy Thanksgiving brothers from the South !!! have a great time with close friends and family... 007 out. Hercu1 Promoted to Intelligence Officer (IO)! It is with great pleasure SR Brigade Command announces Hercu1 to be appointed to a second long-too-vacant Command position, Intelligence Officer (IO). Concurrent with this promotion Hercu1 has also been promoted to Leutnant General (LT-GEN) and transferred to Brigade Command. The Intelligence Officer (IO) is the Skye Command representative who manages the Military Intelligence Division (MID) in the Skye March. MID's function is to gather information about the enemy ranging from troop strength to knowledge of the personal quirks of enemy commanders to evaluation of the expertise of enemy technicians. The minimum Rank for this Position is Leutnant-General (LT-GEN). The IO can also appoint an IO Attache (IO:A) who assists primarily with the administrative command and coordination of the Military intelligence Division (MID). The minimum Rank for this Position is Kommandant (KM). [KM-GEN] Hercu1 Thank you all for your support. ...Chopy, everyone likes bacon. The Exterminator is a BattleMech that was designed for the most dubious, but necessary, of purposes: headhunting. The Exterminator was outfitted with a special Null Signature System, heat baffles and, in some cases, a Chameleon Light Polarization Shield. These advanced systems allowed it to easily infiltrate enemy lines. Once the Exterminator had breached the enemy's rear, its mission was to find and destroy as much of the enemy's command structure as possible. This mission profile included attacking Mobile Headquarters, field bases and command level officers. Rather than be part of the standard formation, Exterminators were attached to a regimental or higher headquarters unit, often as a fifth member of the command lance itself, before being assigned to individual units. A regiment was considered lucky to have more than one Exterminator, and it was not unusual for its parent unit to pull all assigned Exterminators and pool them for a specific mission. It was widely believed that the Exterminator had not survived the fighting of the First Succession War as there were lances whose sole mission was to hunt down and destroy this type of 'Mech (coupled with the destruction of General Systems' primary factory on Caph in 2793). It was later revealed that the Exterminator still existed in ComStar's private army, the Com Guard. In 3007, Kallon Industries (Nanking, Capellan Confederation), looking for a replacement for their aging Wolverine, recovered blueprints for the Exterminator and immediately modified the design so that it could be built using the technology readily available. The result is a BattleMech far less effective than the original, but with significant fast-attack capabilities nonetheless. The weapons used by the Exterminator are not nearly as unique or high tech as the electronics on board. The primary weapons of the Exterminator are four Averell Highpoint Medium Lasers. For long range engagements, the 'Mech also carries a Deadeye-10 LRM-10 launcher. These weapons are backed up by a single Dinatech Mark III Small Laser for when engagements close to point blank range, and, for defense against missile attacks, the Exterminator has a Buzzsaw Anti-Missile System. [KM-GEN] Hercu1 I'm going to have to requisition one of those Null Signature Systems. [CP] LEIF 777 Thanks for all the mech spec posts. Much appreciated! Xenon54z A favorite of mine. Moves like a Firestarter, but much bigger! It is my honour to announce that we have two new Command Staff members, thatrobotguy and Parduke! thatrobotguy has been promoted to Leutnant General and has taken over Communications. Parduke has taken over Communications Attache from Arrachtas. My thanks to Arrachtas for stepping up to the plate and helping me when I needed it. Shortly, I will be training these two gentlemen on how to run our TS3 Server, and in the month of December, we will be possibly hunting for a new service provider for our TS Server. My thanks, thatrobotguy, and Parduke! Executive Officer, Skye Rangers Brigade. Ceres Metals has been given a public contract for the development on an Autonomous Turret System for base protection purposes. The turrets will activate and shoot at hostiles within range. We will start with a Dual Machine-gun and Twin small laser prototypes. In certain cases the turrets will also house and advanced AMS. Once development is complete, we will release the system in Training Grounds for pilots to practice with before rolling them out on the front lines. [SSGM] Bragg Shadough Love the turrets from the older games! Dheekray Muze Amal Such a waste of perfectly good metal composites. The office of the QMR apologizes for not releasing tactical information on one of the Star League mech's last week. The QMR was off planet at an important meeting on Hesperus. Discussing future mech designs and weapon concepts. But without further delay here is this Weeks tactical information. 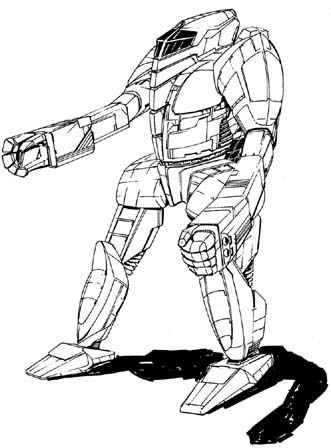 The Black Knight was introduced in 2578 as a front-line command BattleMech for the Star League Defense Force at the company and battalion level. Its advanced communications gear allowed the Black Knight to effortlessly coordinate an entire company of 'Mechs simultaneously, and could easily link into the command frequencies of its parent regiment and orbital support satellites. 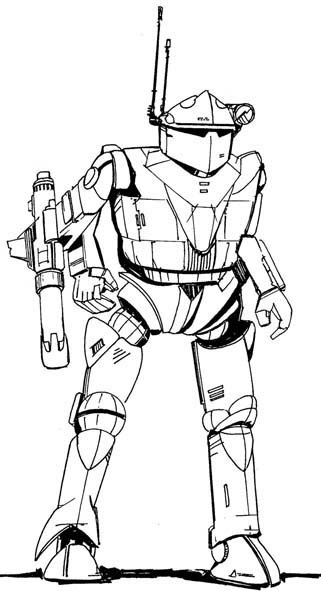 The loss of Kong's orbital factory in 2802 forced the company to produce a less advanced version of Black Knight for a time, though the recovery of lostech has allowed for improved variants to be produced. The Black Knight is a 'Mech that appears to be a jack-of-all-trades, with an all-energy weapon configuration that allows it to operate for long periods without re-supply. Thirteen tons of armor protection on an Endo Steel frame also allows the Black Knight to stand up to a great deal of punishment, while its Beagle Active Probe gives it the ability to function equally well as a heavy scout. The main drawback of the design is its use of single heat sinks, though the fact it mounts twenty of them means the Black Knight is still able to dissipate a great deal of the heat produced by its weapons. However, if the 'Mech finds itself in a protracted combat situation, a less experienced MechWarrior unskilled at heat management can find themselves in trouble. As mentioned before, the Black Knight is an all energy weapon 'Mech, with a Magna Hellstar II PPC serving as its primary weapon. Backing up the PPC are two McCorkel Large Lasers that can inflict a great deal of damage as the Black Knight closes with its enemy. Finally, for close range fighting, the 'Mech employs four Maxell DT Medium Lasers and a single Magna Small Lasers. At this time there is 11 confirmed Variations of the Black Knight in active service. [SenSGM] Swordlord I prefer my battlemechs sans bell-bottom pants. [KM-GEN] Kusak Snowtiger I was thinking they should get a place of their own to call home other than the front page.